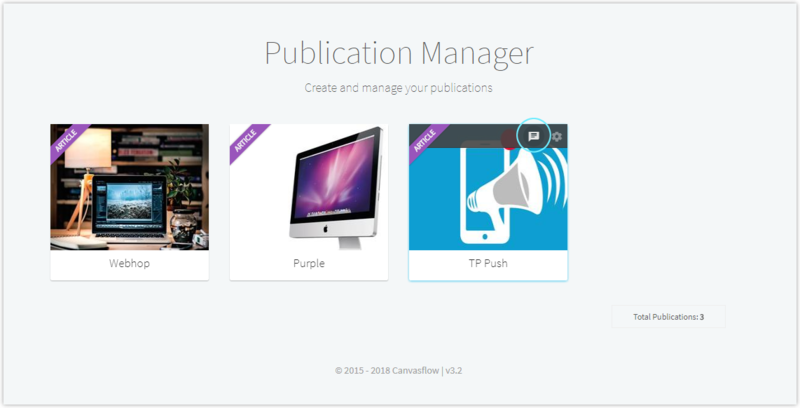 Canvasflow supports the Twixl Push Notifications, enabling push notifications to be sent to app users directly from the Canvasflow platform. Find the Twixl connected Publication you would like to send a push notification from. Hover the publication, this will display Push Notification button. Click the Push Notification button. From the popup window, enter the message you wish to send and click the 'Send button'. 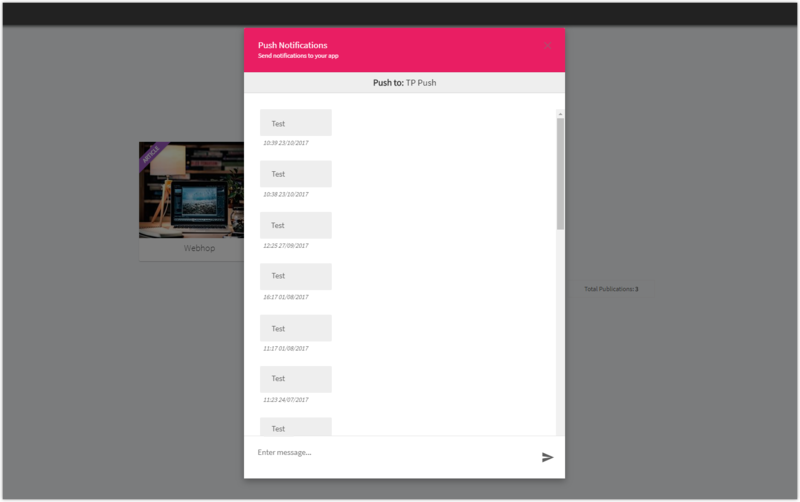 Your message will be sent to all users of the app that have push notification enabled. Click the X to close the popup.